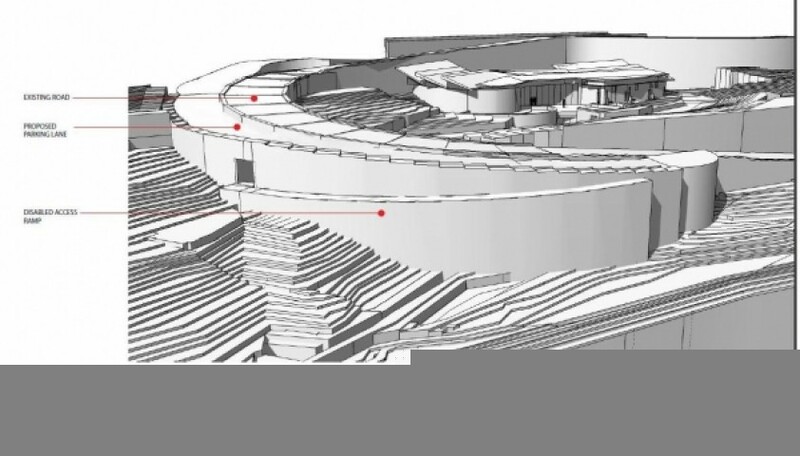 The project was designed at the foot of Masada next to the existing museum building and access road. The building will be used as an institute for Dead Sea research. In it are classrooms, laboratories, and an assembly hall. The existing museum building will be used by the institute. The area of the project is around 2,500 square meters and makes up the first stage of a project of 5,000 square meters that spills over into the pathway to the existing road to the visitors entrance. A retaining wall was designed from piles in order to protect the museum and road. The building will be made from reinforced concrete with a veneer of stone and plaster in pale hues matching the surrounding landscape.